With apologies to Robert Burns, we also don’t hear ourselves as others hear us. 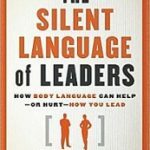 In their book, Thanks for the Feedback, Douglas Stone and Sheila Heen explain a very important point that leaders must remember when communicating, citing research on the superior temporal sulcus (STS) What’s that you say? It’s a part of your brain, located just above your ear. The STS reads tone and meaning in human voices. The interesting thing about the STS is that it doesn’t work when it hears our own voice. In other words, when we hear other people speak, we can get a sense for underlying meaning based on how the STS interprets the tones it hears. But, when we speak, we don’t hear those tones that others hear and so we may not realize how the message comes across to others. Your phone probably has a voice recorder. Talk to it for a minute or two, or leave yourself a voicemail message. Now, listen to what you recorded. Are you wondering who that person is on the recording? If you don’t like to listen to your recorded voice, you’re not alone. Most people don’t and they assume their voice is distorted by the electronic playback. Actually, most modern recording devices produce a very accurate record of the sounds recorded, so that really is your voice. Most importantly, it’s your voice as others here it. The STS is the explanation for why our voice sounds strange to us on a recording. What we hear when we speak, is not what others hear. The good news is that you can control the majority of the tone you use in speaking. We all know the difference between a sarcastic tone and a caring tone. So start there. Next, be precise in your word choice. For instance, you might say “Nice job.” There are many ways this short phrase can be interpreted, even if you try to say it in a nice way. 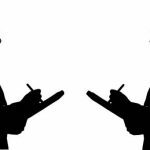 If you say, “I really liked the way you handled the conflict between Jack and Jill in the meeting today,” the intent of your message is much more likely to match the subtle tones in your voice. Effective communication is one of the keys to good leadership. What are you doing to ensure you hear yourself as others hear you?